The publication director of the site www.parc-thot.fr is Mr André BARBÉ in his capacity as Director of the semi-public company, SA SOCIÉTÉ D’ÉCONOMIE MIXTE DE TOURISME DU PÉRIGORD, with a capital of 2 096 600 €, whose head office is situated: 25 Rue du Président Wilson 24001 PÉRIGUEUX CEDEX. The object of the Legal Notice is to define the means by which SA SOCIÉTÉ D’ÉCONOMIE MIXTE DE TOURISME DU PÉRIGORD makes available its Internet Site www.parc-thot.fr to internauts and the conditions under which the internauts access and use this Internet Site. Any connection to the Internet Site www.parc-thot.fris subject to compliance with the provisions of the Legal Notice which SA SOCIÉTÉ D’ÉCONOMIE MIXTE DE TOURISME DU PÉRIGORD reserves the right to modify or update at all times. 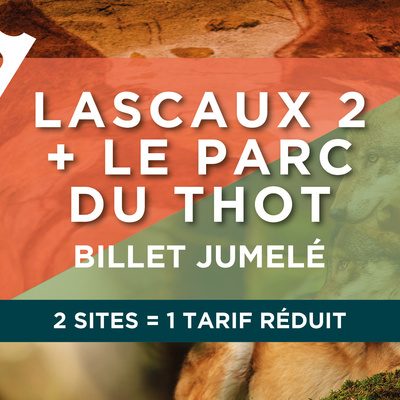 Access and use of the Site www.parc-thot.fr implies your consent of the Legal Notice. If you are not in agreement with the following clauses, it is recommended that you do not use the Site. SA SOCIÉTÉ D’ÉCONOMIE MIXTE DE TOURISME DU PÉRIGORD shall endeavour to maintain accessibility to the Site without however being under any obligation to do so. Access to the Site may be interrupted for maintenance and updating purposes and for any other reason, in particular for technical reasons. SA SOCIÉTÉ D’ÉCONOMIE MIXTE DE TOURISME DU PÉRIGORD shall under no circumstances be liable for said interruptions and any consequences these may have for the internaut. Nor does the publisher of the Site make any guarantees as to the accuracy of the information diffused by the Site. The internaut therefore acknowledges that he shall take exclusive responsibility for the use he makes of said information. In accordance with Law N°78-17 of 6 January 1978 (amended) concerning data protection and civil liberties, the Internet Site has been registered with the Commission Nationale de l’Informatique et des Libertés (www.cnil.fr). Automated processing of nominative data is undertaken by the Site in accordance with the provisions of Law N°78-17 of 6 January 1978 (amended) concerning data protection and civil liberties. In accordance with Article 32 of said law, all information the User provides on the forms present on the Site, is necessary to answer the User’s request and is destined solely for the publisher of the site who is responsible for the processing of said data for administrative and commercial management purposes. The User has the right of access, consultation and correction which allows him, if necessary, to correct, complete, update, lock or delete personal data concerning him should it be inaccurate, incomplete, ambiguous, out of date or for which the collection, use, communication or conservation is prohibited. The User also has the right to object to the processing of his date for legitimate reasons and the right to object to the use of his data for commercial development purposes. To exercise the above rights, please contact the publisher of the Site either by email or by letter addressed to the registered office. The User is informed that when he visits the Site, a cookie may automatically be installed on his web browser. A cookie is a data block which does not allow the User to be identified but which registers information regarding the User’s visit to the site. The web browser can be configured to inform the User of the presence of the cookie and may be configured to refuse the presence of the cookie in the way described on the following site: www.cnil.fr. The User benefits from the aforementioned rights because the data which is communicated by cookies in the conditions indicated above is of a personal nature. The Users of the Site shall respect the provisions of Law N°78-17 of 6 January 1978 (amended) concerning data protection and civil liberties; violation of said law may incur criminal sanctions. Should the User access any personal data, he shall, in particular, refrain from collecting, generally misusing or infringing by any action the personal privacy or reputation of any person. The entire contents of our website, including text, images, graphic animations, audio and video files, with the exception of any explicit provision to the contrary, are protected by copyright and may not be reproduced, altered, transmitted, reused, appropriated, used or employed in any manner whatsoever for public or commercial purposes without our prior written permission. Any violation of our copyright or other intellectual property rights may result in civil or criminal legal proceedings being issued against you.